The New England Aquarium is THE place to see turtles! It’s usually our sea turtles that get all the attention. But did you know that weaving between the tendrils of the tree roots in our Mangrove exhibit lives the most unique turtle in America? 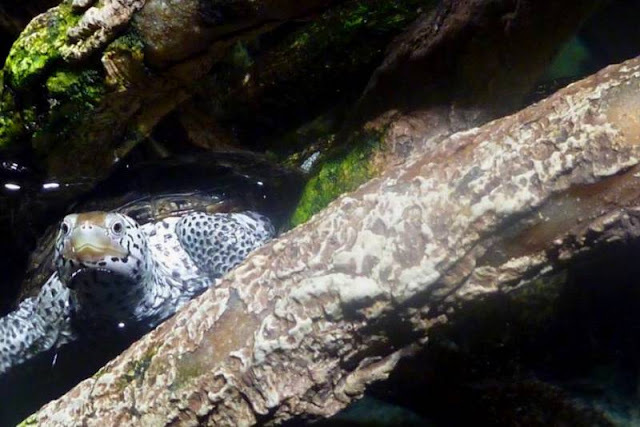 Introducing the diamondback terrapin! So what makes Malaclemys terrapin so unique? It is the only turtle in the US that lives in brackish water, a mixture of fresh and salt water found in coastal salt marshes, estuaries and tidal creeks. Ranging along the Gulf and Atlantic coasts, these terrific terrapins are locally found on Cape Cod. Living in salty water can be tough, but terrapins have thick skin and a gland near their eyes which allows them to “cry” out excess salt, just like sea turtles! 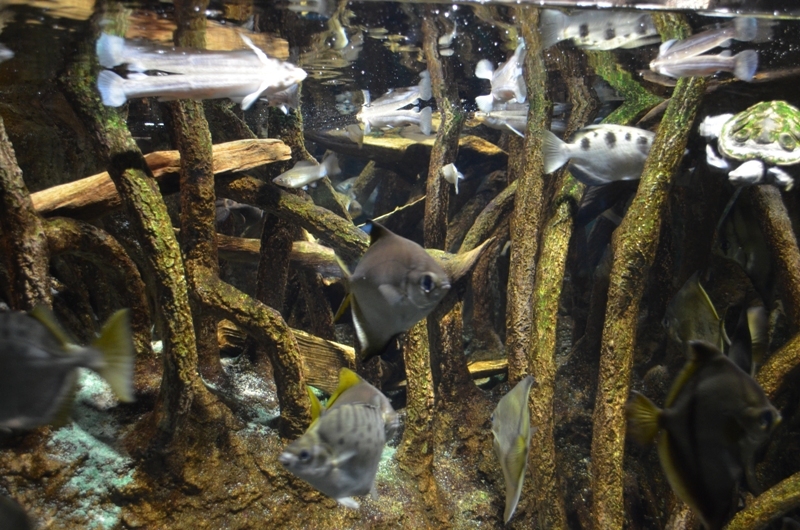 Home sweet home-the Aquarium's Mangrove Exhibit! 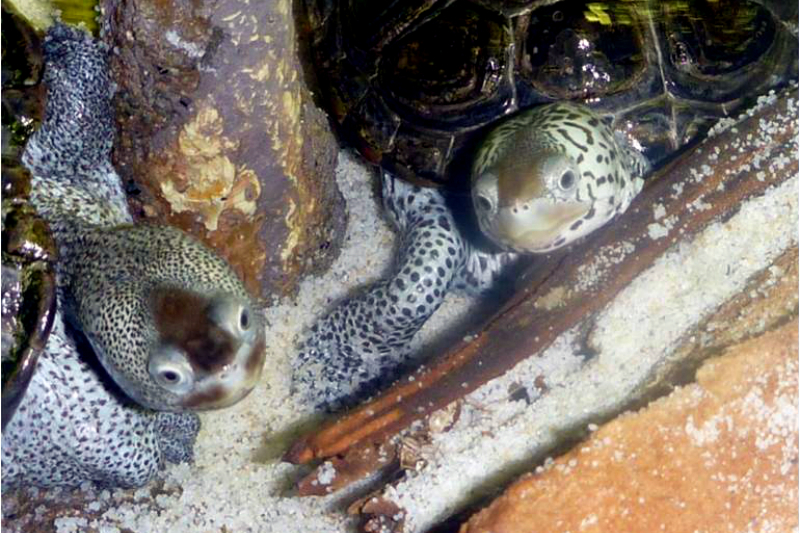 No matter where they live, terrapins they are important to their ecosystem! Their smiley expression is thanks to a set of big, strong jaws, perfect for cracking hard shells of a favorite food- snails! Periwinkle snails, though small, can alter a coastal salt marsh community if their populations grow too numerous. 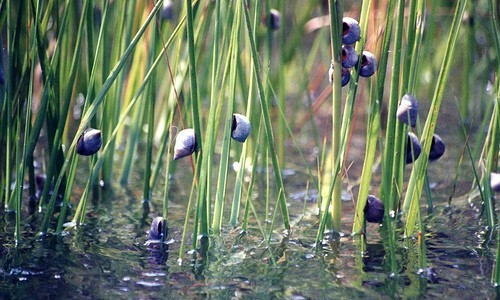 In large numbers, the snails overgraze marsh grasses and can quickly damage habitat. Don’t worry—it’s terrapins to the rescue! The turtles, acting as a top predator, keep marshes healthy by keeping snail populations in check. 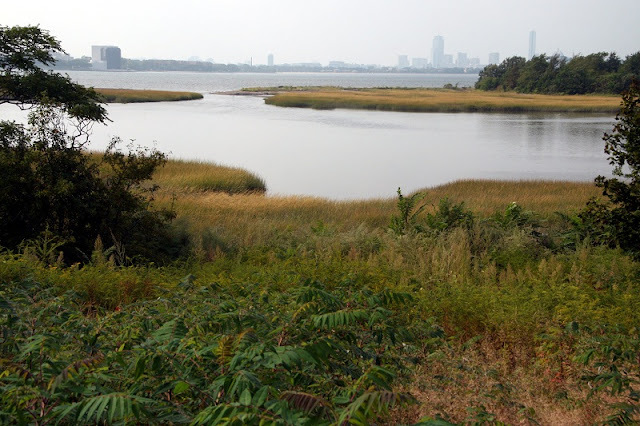 In turn, the salt marshes and other estuarine ecosystems provide good homes for animals and even protect humans! Estuaries protect coastal and inland areas from storms by absorbing wave energy, filter out pollutants and also serve as nursery zones for commercially important fish species. The terrapins help the marshes, which in turn help us humans! As it turns out, these feisty reptiles need our help. 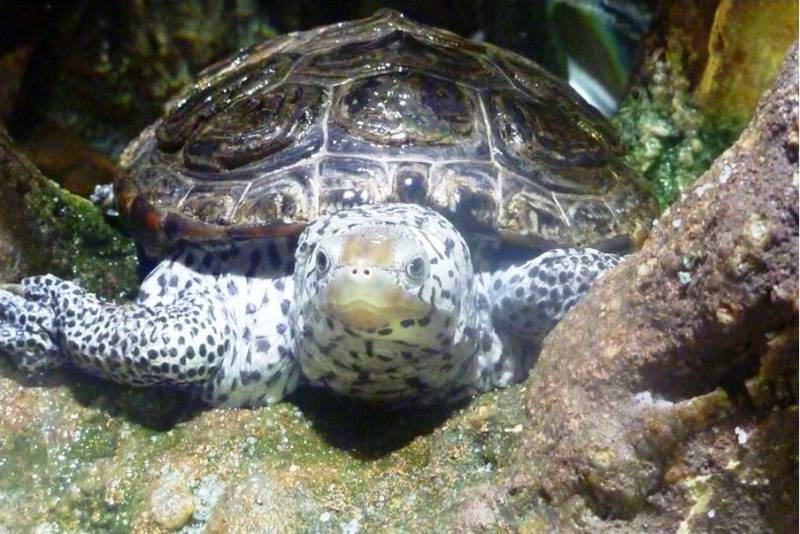 Diamondback terrapins are currently listed as threatened here in Massachusetts. So what can we do? 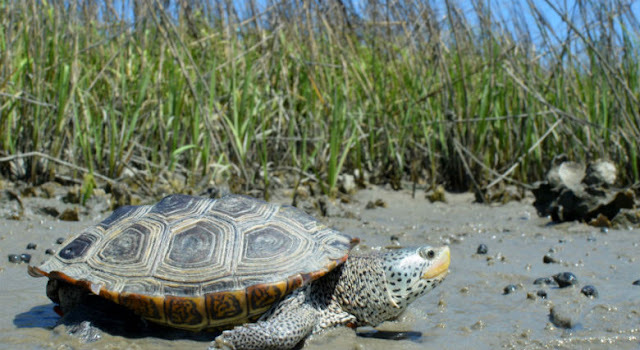 While recreational and commercial crabbing is a threat in some areas, the biggest overall challenge terrapins face is the loss of crucial marsh habitats, as humans development and sea level rise encroaches on prime terrapin real estate. 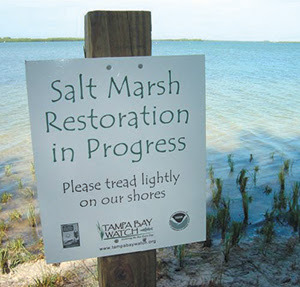 Fortunately, there are communities and conservation organizations that work to protect and restore salt marshes! If you or someone you know lives along the coast, encourage them to join and support the cause! So how did we get our two feisty terrapins if this species is protected? It’s a great turtle rescue story. In 2005, a female terrapin was struck by a car in New York. Although she did not survive, two little ping-pong sized eggs were rescued, carefully incubated and successfully hatched! We received the little terrapins not long after, and they've been living here ever since. When you visit next, make sure to check out the Mangrove Exhibit on the second floor, and take in our terrific terrapins!